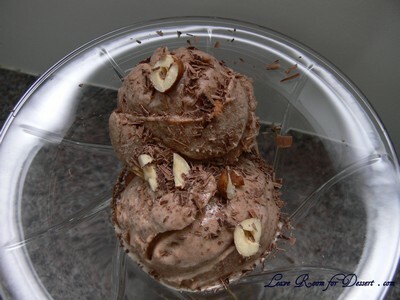 When I received my ice cream maker a few years ago, one of the first things I wanted to make was a ferrero rocher gelato or ice cream. I tried to find a recipe, but ended up with a quite solid very rich ice cream – which was not what I wanted at all. I was hoping for a beautifully soft lightly chocolate hazelnut flavoured gelato. When I saw this baci gelato in my delicious magazine, I was extremely excited to try it (even though I have yet to make a good vanilla ice cream, it’s still on my list). Consider making this the day before (or early) and placing the ice cream mix in the fridge or on ice to cool before putting it in the ice cream maker. Place the cream, milk, vanilla pod and seeds (or essence) and 150g sugar in a pan over medium heat, stirring to dissolve sugar. Bring to just below boiling point, then remove from the heat. Beat the yolks and remaining 150g caster sugar with electric beaters (in a large bowl) until pale. Slowly add the hot cream mixture, whisking well to combine. Pour into a clean large saucepan and cook gently over low heat for 3-4 minutes, stirring constantly until the mixture is thick enough to coat the back of a spoon. 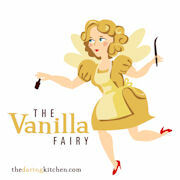 Remove from the heat and discard the vanilla pod. Stir in the Nutella until well combined. Pour mixture into a shallow container. Freeze for 2 hours or until frozen at the edges. Remove and beat with electric beaters, then return to the container and refreeze. Repeat 2 or 3 times, then freeze for 4 hours or until firm. Alternatively, churn mixture in an ice cream machine according to manufactures instructions. Scoop gelato into bowls and serve by itself or with White Chocolate slab (recipe also in delicious magazine), or with a slice of Triple Chocolate Praline Tart. 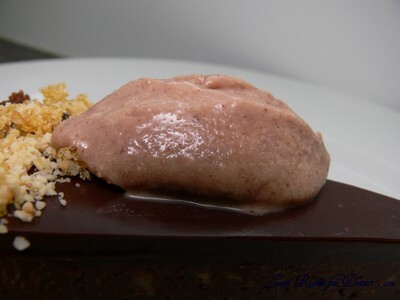 Filed under Chocolate, Dessert, Egg Yolks, Ice Cream, Recipes. You can follow any responses to this entry through the RSS 2.0 feed. You can leave a response, or trackback from your own site. 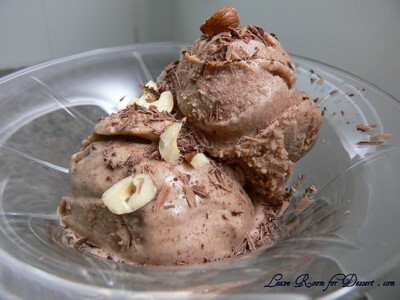 Oohh how I wish I have an ice cream maker too! Just think of the kitchen possibilities! But it’ll probably be a bad idea for my waistline though…… hehehe! This gelato looks absolutely fantastic!! Anita, this looks amazing! 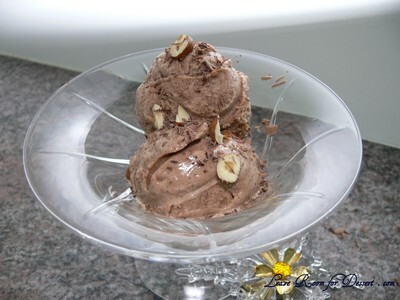 Ferrero and Bacio gelato are my favourite and this looks like chocolate heaven! first of all, the very notion of a ferrero rocher ice cream is brilliant. secondly, this is quite possibly the best use for nutella ever. Yum! This looks so good. I wish I had an ice cream maker. I want to get a KitchenAid and the icecream attachment. What brand/model icecream maker do you have? Your chocolate tart looks so good too. 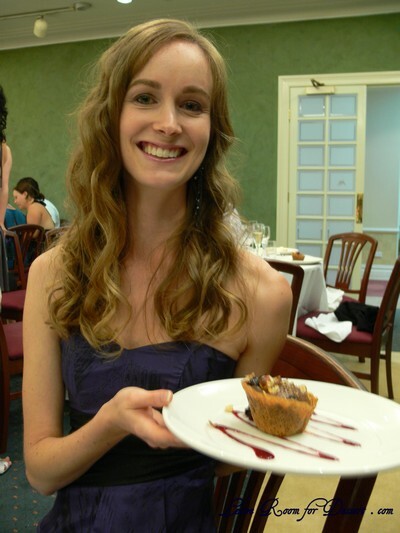 It looks like the Aria tart from the last episode of Masterchef. Is it? I’ve had trouble with very heavy rich icecreams too, and I thought it must be because of the churning process in a home icecream maker. If it’s only the recipe then that’s good news. This recipe still has a lot of egg yolks, but maybe more milk:cream than the ones I’ve tried. How different is it to your other ones? oh yum. great flavour. love baci. I just got my ice-cream machine. Now I am collecting recipes to try out, once by once. This seems to be a winner! Yum, nutella! Anita, this looks lovely. I don’t remember that recipe – will have to get my magazine to check. I was JUST thinking that I don’t use my ice-cream bowls enough. I have two. You think I would have no excuse, right? Particularly with all those egg whites I use up with macarons. Plenty of yolks hanging around not wanting to be wasted. This is now ON THE LIST! Hi Trisha – hahha, I still haven’t made 1/4 of the things I want to in the ice cream machine.. hopefully this summer – fingers crossed. Hi Anita – I would love the attachment for my KitchenAid too. I have a Krumps ice cream machine model, although the paddle has broken and costs a heap to get replaced and sent out, so I’m not sure what to do about it. This is the Gourmet Traveller tart and it was fantastic. I just tried the Aria one and it was a bit too rich for me. Hi Arwen – I have tried to go for ones with less egg yolks and more cream in the past and they have been heavy and too creamy. This was quite nice although, although because it was too hot for my ice cream maker I had to do it by hand anyway… The recipe on MasterChef MasterClass used around 8 egg yolks for a similar quantity, so I’d like to see what that turns out like. Hi Anh – Good luck, hope you love it. Hi Julia – Hahahaha, yep, no excuse. Hi Maria – It’s fantastic! 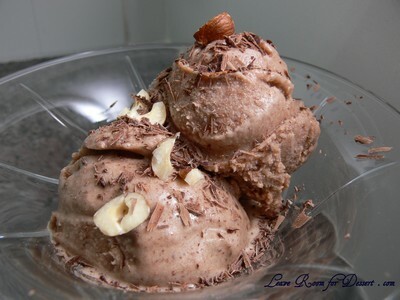 Hi, a couple of tips to improve your recipe if you want a more ferrero rocher style. 1 . add some dutch style coco powder to the milk mixture. 2. Roast a few hazelnuts and place in a food processor while still warm and blend until still a little crunchy. 3. add some freshly toasted shredded coconut to the blender with the hazelnuts. How come I´d never seen your site before? I´m totally in love with it… and besides you live in Sydney, I miss this city so much! Congratulations for your wonderful work! 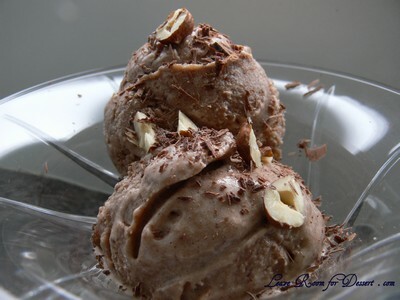 This is a great recipe, it makes such a beautiful smooth gelato! Thank you!